We drifted westward into east Texas and passed a couple of fine days with old friends Cliff & Diane, and Nanner & Ken. The food was superb: pizzas, burgers, dips ‘n chips washed down with cold beer and Messina Hof Cabernet (that’s a Texas red, son, not some namby-pamby California vintage). Who knew old people could digest such things? The fellowship – I haven’t used that word in fifty years – surpassed even the chow. From there it was on to Bryan to visit our son Bomba the Jungle Boy and bride Allison. That crazy couple has bought a home nicer than any we’ve owned and furnished it with some of the things Kat and I had to get rid of to go full-time RV’ing. Bret had a vertical drum smoker built and he used it to smoke a few pork shoulders resulting in outstanding pulled pork. I think he’s become a better cook than me, has a better education, and possibly a greater net worth. You gotta love it when a plan comes together. 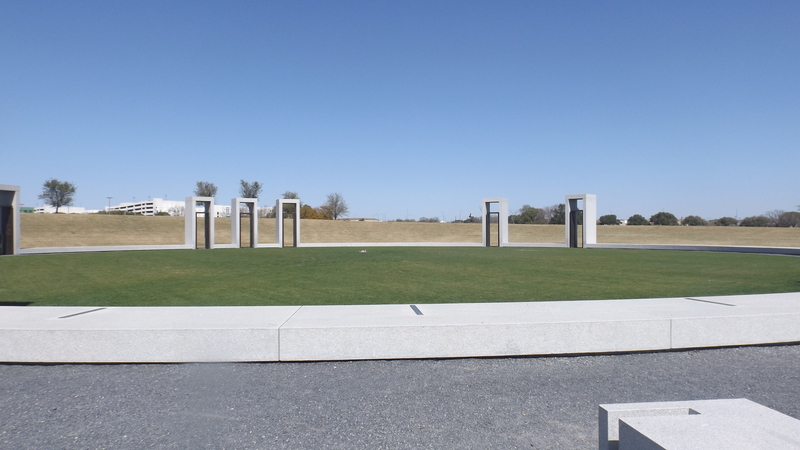 Kat felt a call to revisit Texas A&M’s Bonfire Memorial, and so we did. 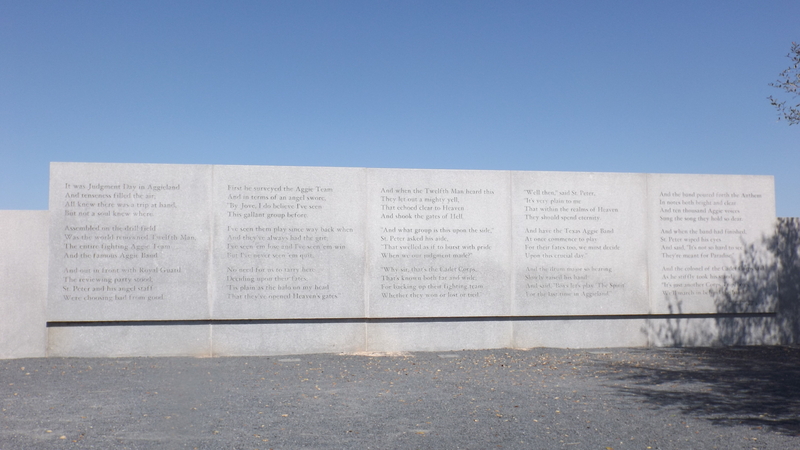 The Memorial begins with a landscaped garden of central Texas trees, shrubs, and flowers leading to a massive granite wall inscribed with a quote from “The Spirit of Aggieland” penned in 1926. 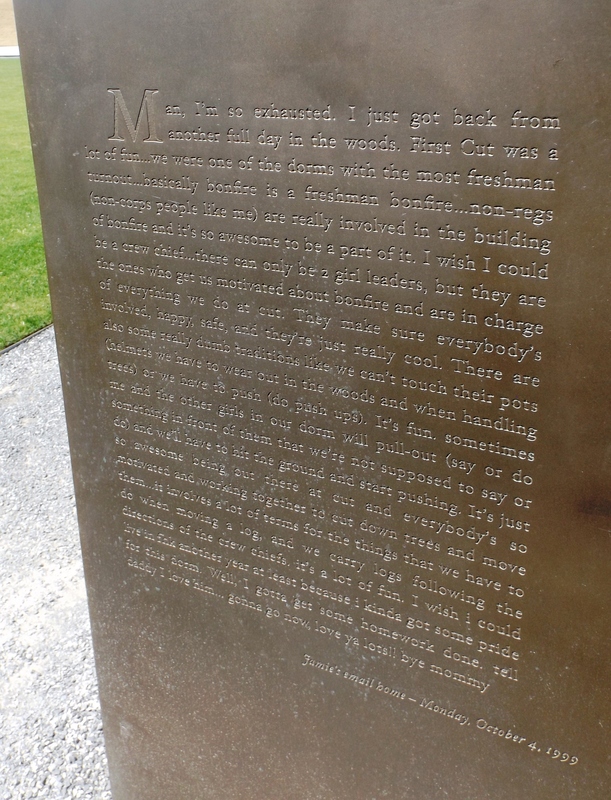 Next comes Traditions Plaza with a shaded seating area facing an even larger five verse poem written in 1950, “The Last Corp Trip”. 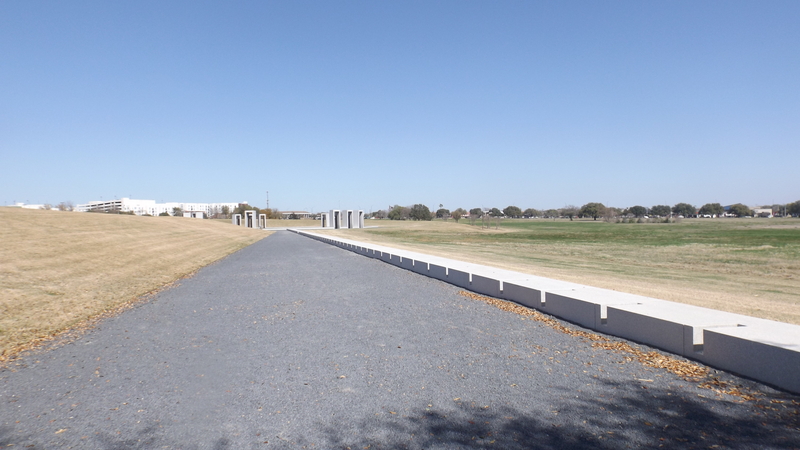 The walkway to the Spirit Ring is marked with 89 polished grey granite blocks and one black one, each honoring the 90 years Bonfire was stacked, and the 89 years it was lit. The black block represents 1963 when the stack was dismantled after JFK’s assassination. 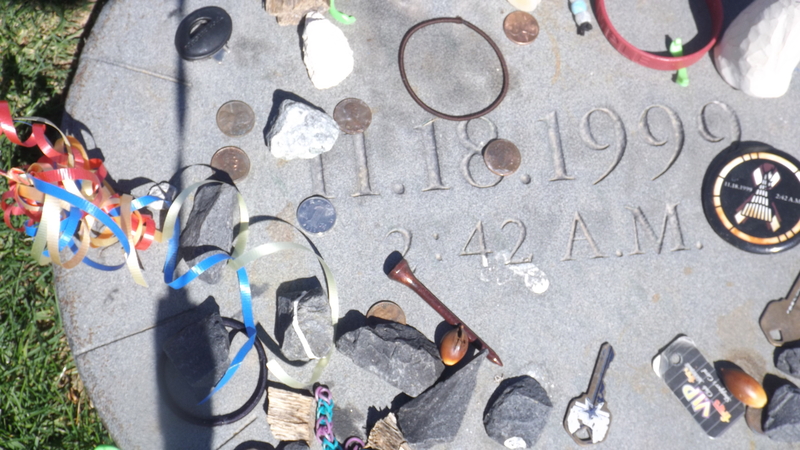 “It’s all we have, and the least we can do.” Finally you come to a circle 170 feet in diameter made of grey granite blocks marking the perimeter fence put up after the stack fell. 27 bronze slats adorn the unmarked granite, one slat for each injured survivor of the stack’s fall. Above the circle are set twelve portals each honoring an Aggie killed there. Each portal resembles a huge doorway opening in the exact compass bearing from the center pole marker toward that lost Aggie’s home town. 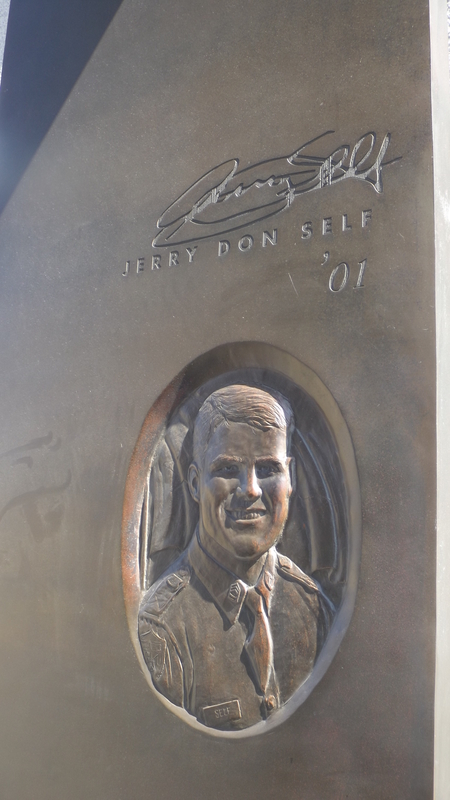 Each portal has large bronze insets with a carved likeness of each Aggie along with a variety of inspirational and commemorative messages and quotes chosen by his or her family. It is architecturally brilliant, stunningly executed, and emotionally powerful. I’ve worked with and known many an Aggie. Most of them graduated with or soon developed the right stuff. Tim Kerlee was just 17 with his whole life ahead of him. He already had the right stuff.